The first sunrise of the year over Boulder and the Flatirons is an impressive one. 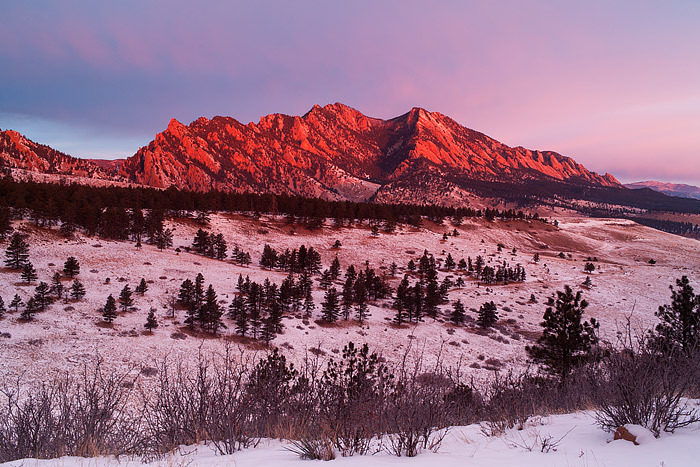 The sun kisses the Flatirons formation turning them a brilliant red while beautiful clouds over Boulder are illuminated by the morning sun. A light dusting of snow coats the trees and trails just south of Boulder. Photo © copyright by Thomas Mangan.